I thought I'd chat a bit about our Morning Warm-up routine. It is very important to me that kids have time to talk and share with each other when they get to school. It seems they always have a ton to say!! Years ago I would normally put out a pencil/paper activity or have a warm-up notebook with fix the sentences in it. I found these types of activities to be boring...and I know the kids did as well, so I developed some alternatives. Each day of the week there is a different activity planned. Magazine Monday, Tune Up Tuesday, Word Search Wednesday, Think Outside the Box Thursday, and Fidget With it Friday. Each day I encourage kids to share while they are reading, investigating, or manipulating. I don't have pics of Word Search Wednesday, but you can imagine sight word or chunk word games and searches. Play Doh for Fidget With it Friday! I know your kids will want to get to school on time so they won't miss the morning Warm Up!! Thanks for taking time out of your day to take a peek!! Here's to Warm Mornings!! I so love your blog! I just also noticed you teach in Texas...me too! This is such a great idea. We do Breakfast in the Classroom. How long do your kiddos spend during this time? Do you always use squiggles for Think Outside the Box Thursday? If so, do you make them up or do you get the ideas from a book? I really like how you maintain morning routine through predictability while still offering variety. Ooh, I love how the kids would get to know the routine but it's still different each week and offers some creativity. I would worry that I wouldn't get enough of my review in without the pencil/paper stuff (maybe when I'm not brand new! )- but I'm wondering if maybe this can be what they do when they finish, so it's a little different every day! I'm a new follower of your blog :) found you through Pinterest! Hi Jenny! thanks for your comments. My Morning Warm Up is set up to only take about 15 minutes, with lots of conversation going at the same time. Kids have to have time to talk, just like you and I when we get with people. They are also set up to be something I don't have to check over.Kids who may come in closer to the bell may not get the warm up done. And that is ok. My curriculum day begins as soon as announcements are over. And we hit the gtound running!! :) Hope this helps!! Kaylee, I always use a "doodle-oop" for Think Outside the Box Thursday. I used to get them from a book I've had for a gazillion years, but this year I have done my own. Very often the doodle is a shape that resembles something we've been talking about. So fun, and the kids are getting sooooo creative!!!! Looks great! As an early childhood turned 5th grade teacher, I love the thought of doing this for my BIG kids! Thanks so much! I am a big believer in morning work as a way to transition from home to school. I had to do away with pencil paper tasks this year because it just wasn't working for this group. I LOVE these ideas. Thanks for sharing! Where can I get doodle oops. I've come up with a few ideas on my own for Think Outside the Box Thursday, but would love to have a back-up to go to when I'm unable to "think outside the box"
I would love to find them too!!! Anonymous- Check out my post on Saturday, June 2 called Think outside the box for a link to my printable unit! Thanks! Love your ideas! A few questions to clarify your Fidget Friday...are all kids fidgeting with the same thing? 24 kids all fidgeting with play doh? What other items are they fidgeting with? Nancy - When your students are fidgeting on Friday, is the whole class using play doh on the same Friday (in other words, you have a class set of play doh) and on another Friday, the whole class is fidgeting with pipe cleaners? Or are students offered a variety of items to fidget with every Friday? What are some of the other items you have found to be fun for the kids to fidget with? Thanks for sharing!!! On Magazine Monday are students reading the magazines with/to each other or are they completing a project with them (i.e. cutting out the pictures from the magazines to use as a writing prompt, etc). Thanks! I am so sorry Scribd is not working for you. Many of my older docs have been archived. Not sure why! I've been going through and putting everything on google docs. So Please find the "or click here" link on most documents. Let me know if this is still not working for you! I'll e-mail anything you want! I've been pinning your ideas all night! Are you on pinterest? 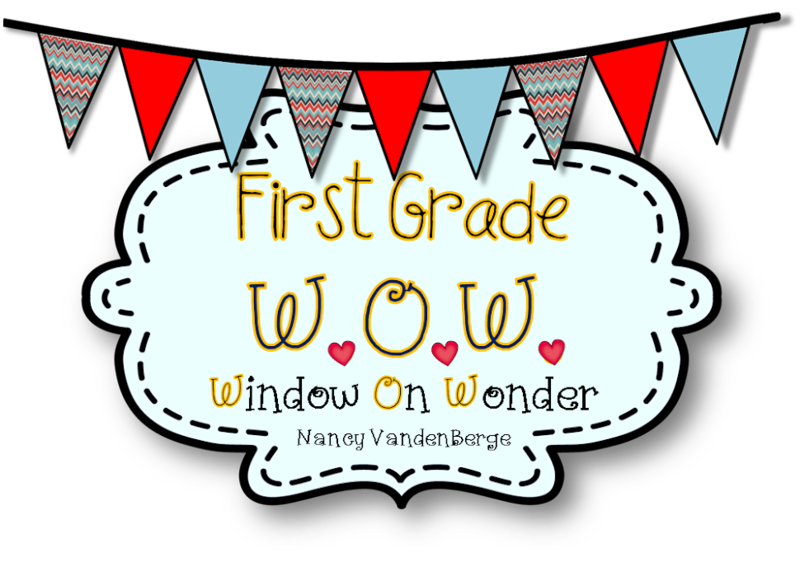 Fantastic free printables and ideas. I still have 3 weesk of teaching left this year and can't decide whether to change my morning routine now or wait for a fresh start in September. THANK YOU for being so generous with your work. I have been pinning your ideas all night! You have so many great ones! Are you on pinterest too? Thank you for being so generous with your ideas! I have 3 weeks left in the school year and can't decide if I should change up my morning work now or wait until September to use your excellent ideas! Either way I'm excited to have found you. OH, I accidentally called you Laura, not Nancy. I think I also might have posted the same message twice. Sorry! I feel like a scatterbrand. the captcha's are getting me confused!! Sorry! I love this idea! I was looking for something new for morning work because I really don't like just giving worksheets. I really like the Monday Magazines but I don't have any! Have you just collected them over the years? I'm trying to think of a way I can make that happen. I love this! I am going to have a board game day. Don't know how to word it yet, but fun! Love this! My kids are all ESL and multi grade 1-7. Speaking to me is often the only exposure they get, all week, to English. I love they quickly fall into their first language when speaking with each other but during out morning visit they help each other find the words to share their thoughts with me. Talking is so very important! I am so happy to have come across your site through pinterest. I would like to hear a little more about Tune Up Tuesday. I'm guessing the children have a folder that you add poems/songs that they have been learning as they learn them. Do they just buddy read/sing or are they marking in them with highlighters? These are awesome. I use them with my third graders to get them going each morning while I am checking assignment books and attendance. Love the idea. I changed it up just a little to fit the needs of my K kids. I saves the "think outside the box" printables, but now I can't seem to pull them up where I saved them or on your link above. Are they not posted any longer? You are my idol. Love your blog, your resources, your awesome ideas and suggestions. Thanks so "beary" much! Hi Nancy, I really appreciate your ideas. I am relearning grade one this year and I love your morning routine ideas. How do you do Tune up Tuesdays. I have poetry books for each student.